The biotechnology sector is well developed in Canada and offers plenty of opportunities for career growth and doing business. Institutions of higher education in Canada offer degrees in biotechnology, biochemistry, medical biotechnology, cell and systems biology, genetic counseling, green bio-products, and others. Engineering science and agricultural biotechnology are also offered. Different universities offer degrees in biotechnology, including McGill University, Mount Allison University, University of Toronto, Brock University, and others. Students enrolled to complete a biotechnology degree study bio-systems, living organisms, and different microbiological processes in order to create new products and practices. Such products and practices help improve all aspects of life. Students are offered a wide variety of courses and programs, including inter-disciplinary studies, seminar, business, and summer courses, etc. Courses cover themes and topics such as management of technological innovation, the use of biotechnology in products and agriculture, biotechnology in agriculture and medicine, and many others. Business courses are offered to help students learn more about various economic concepts in marketing, finance, and accounting. Programs in medical biotechnology are also available, with courses such as biotechnology entrepreneurship, biotechnology laboratory, mechanisms of disease, cell biology of membranes and lipids, etc. Universities also offer courses in clinical biochemistry, biological mass spectrometry, and protein function and structure, among others. There is a wealth of career opportunities in the Canadian biotechnology sector and related sectors. Postdoctoral positions are also available to young academics looking for scientific projects and research opportunities. Assistant research and fellow positions are offered as well. Universities, laboratories, and institutes offer plenty of career opportunities, including assistant professor, research associate, tenured professor, science writer, and many others. Research associate programs are also available to senior researchers and PhD students, and there are plenty of added benefits such as travel allowance, relocation benefits, health insurance, and stipends. Biotech positions are also offered by large, medium, and small businesses, including positions such as chemistry quality control technician, cell culture technician, biofuel technician, and animal technician. Companies in Canada also offer positions such as facilities technician, food sample inspector, and environmental science and protection technician. Facilities technicians, for example, are tasked with overseeing different processes such as air filtering, water purification, refrigeration, lighting, and others. Environmental science and protection technicians are responsible for environmental conversation and focus on contamination and pollution. Chemistry quality control technicians test finished products and packing and raw materials. 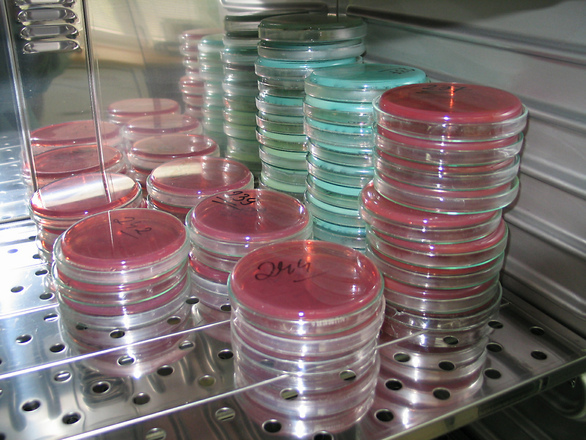 Cell culture technicians grow plant and animal cells in different containers and usually specialize in molecular biology, isolation of tumor cells, and different culture techniques. Biotech companies also hire health and safety technicians to monitor for physical, chemical, and biological hazards and ensure workplace safety for all employees. Other positions in the biotechnology sector include manufacturing technician, laboratory assistant, laboratory safety associate, field technician, product development technician, etc. Sectors that offer jobs to biotech professionals include bioprocessing, biopharmaceuticals, biomaterials, bio manufacturing, green fuels, and others. Salaries and wages vary based on position, experience, workplace, area, and other factors. The median salary for research technicians in Canada is around $39,000. Senior research scientists are even better paid – the average salary is around $78,500 while research scientists get $64,500 on average. Salaries in the biotech sector vary widely, from $42,357 for postdoc research associates to $85,000 for financial controllers. When it comes to prospects, the biotechnology sector in Canada is quickly developing and offers good career prospects. Clusters are cities such as Vancouver, Toronto, Montreal, and Saskatoon, with plenty of jobs offered in the big cities. Leading companies such as QLT Phototherapeutics, Aventis Pasteur, BioChem Pharma were the first to start doing business in Canada. Today, sales amount to around $1 billion, and financial analysts expect stable and solid growth over the next decade. Growth in the sector is fueled by factors such as educated workforce and immigration policy that encourages skilled workers' immigration to Canada. One problem that Canada faces is the loss of skilled and educated workers immigrating to work in the U.S. To keep employees, it is important that companies invest more in employee training and develop further capacity. One problem is the fact that the majority of biotech companies in Canada lack financial resources compared to large businesses. The reason is that most companies are small and usually have a more narrow focus.